Building and maintaining a wireless network isn't difficult when all of your employees fit around a single access point. Once you need to juggle radio profiles, security settings, and Quality of Service (QoS) configurations for multiple access points across an office building, a dedicated wireless-management product starts to look compelling. ZyXEL's NWA-3166 ($400 as of February 10, 2010) is a "hybrid AP"--a wireless access point that can work as a wireless AP controller, a managed access point, or a stand-alone access point. It's aimed at small businesses that want to expand a wireless network while minimizing the growing pains and eliminating the need for a dedicated wireless controller. As an access point, the NWA-3166 has a solid range of features. The AP itself supports the 802.11n Wi-Fi standard and has a 2x3 MIMO (multiple-in, multiple-out) antenna configuration that increases the network's range and signal strength. Each AP can broadcast up to 16 different SSIDs (which is useful for setting up virtual APs with customized access policies, encryption, QoS rules, and so on); the default configuration includes preset options for optimizing VoIP traffic and limiting guest access to the network. The NWA-3166's more-advanced features for larger companies include Layer-2 Isolation, which lets you restrict network access based on a client's MAC address, and Intra-BSS Traffic Blocking, which permits you to manage AP access based on a device's MAC address. Through both features you can limit a machine's access to certain wireless clients on the same network/AP without locking that machine out of all the devices on a network (a printer or a file server, for example). While the NWA-3166 is a nice access point, small-business network admins will probably be most intrigued by the product's controller functions. 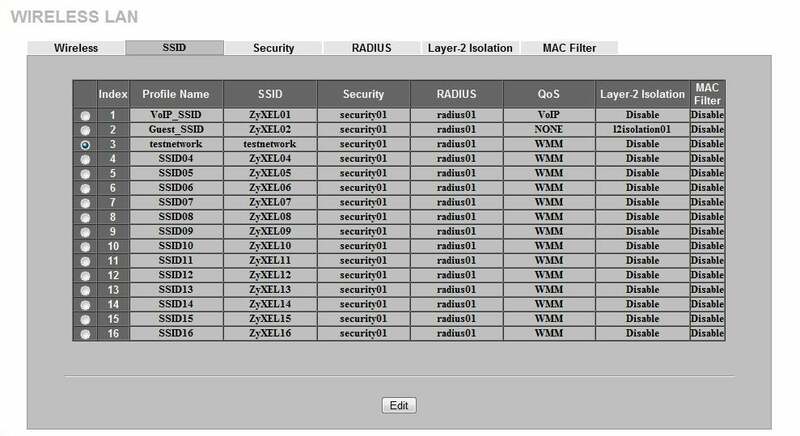 If you run the unit in AP Controller Mode, you can use it to manage the SSIDs, MAC filters, Layer-2 Isolation, radio profiles, and other features of up to 24 other ZyXEL APs on the network. 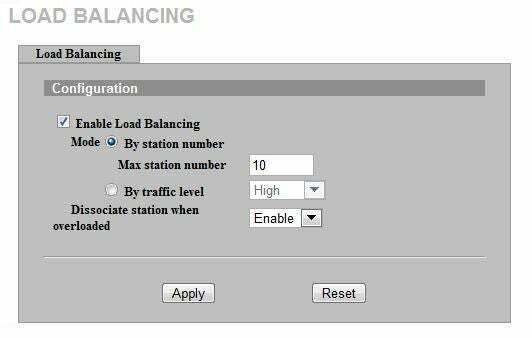 You configure your various network necessities in the controller AP, and then you can send that configuration down to all the access points you're managing; you don't have to sit through the configuration process each time for each AP. Setting up the NWA-3166 doesn't require any expertise beyond what you probably already know from managing a network. The box contains the power adapter, the AP unit, a 6-foot ethernet cable, a console cable for accessing the command-line interface configurator (for the hard-core IT professional), wall-mounting screws, a quick-start guide, and a documentation CD with a 330-plus-page user guide. The NWA-3166 supports power over ethernet (PoE), which lets you place the AP where you want without worrying about power outlets and extra wiring; that said, you must provide your own PoE injector to use that feature. Setting the AP up via the Web-based interface is fairly straightforward. The provided documentation is clean and easy to follow, and it provides example scenarios for some advanced configuration options (setting up a RADIUS server or working with multiple SSIDs, for instance). The documentation certainly won't set up your network for you, but it does ease the pain for anyone new to networking--and it explains fundamental concepts well enough that you'll learn a thing or two in the process. We've covered other entries in this growing product class. Netgear, for example, has hardware and software wireless controller/management products aimed at SMBs with similar interests, but its products range from a $50 application to $910 dedicated appliances. The ZyXEL NWA-3166 falls in between those two extremes: At $400 for a hybrid AP/controller, it seems to be a better fit for a small business that can't afford a full-fledged network controller appliance but still wants to save time with the AP-management functions.